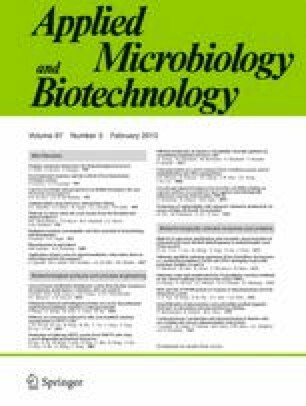 Mycobacterium strain NBB4 is an ethene-oxidising micro-organism isolated from estuarine sediments. In pursuit of new systems for biocatalytic epoxidation, we report the capacity of strain NBB4 to convert a diverse range of alkene substrates to epoxides. A colorimetric assay based on 4-(4-nitrobenzyl)pyridine) has been developed to allow the rapid characterisation and quantification of biocatalytic epoxide synthesis. Using this assay, we have demonstrated that ethene-grown NBB4 cells epoxidise a wide range of alkenes, including terminal (propene, 1-butene, 1-hexene, 1-octene and 1-decene), cyclic (cyclopentene, cyclohexene), aromatic (styrene, indene) and functionalised substrates (allyl alcohol, dihydropyran and isoprene). Apparent specific activities have been determined and range from 2.5 to 12.0 nmol min−1 per milligram of cell protein. The enantioselectivity of epoxidation by Mycobacterium strain NBB4 has been established using styrene as a test substrate; (R)-styrene oxide is produced in enantiomeric excesses greater than 95%. Thus, the ethene monooxygenase of Mycobacterium NBB4 has a broad substrate range and promising enantioselectivity, confirming its potential as a biocatalyst for alkene epoxidation. We thank the University of Sydney and the Australian Research Council (grant number DP0877315) for financial support.